KUWAIT CITY, Oct 28: The Legislative and Legal Affairs Committee of the National Assembly during its meeting Sunday morning unexpectedly voted against 'dropping' the memberships of MPs Waleed Al-Tabtabaei and Jama'an Al-Harbash. The committee was to decide whether Al-Tabtabaei and Al-Harbash could still remain as MPs on the floor of the Parliament after they were sentenced to 42 months in prison with hard labor by the Court of Cassation after finding them guilty of taking part in the storming of the National Assembly building in 2011. The issue of stripping them of their membership had split the MPs into supporters and opponents but the official stance of the National Assembly, according to Deputy Speaker of the Parliament, was to respect and conform with the court verdict. However, it came as a shock when the committee rejected the motion. Member of the committee Khaled Al-Shatti pointed out he and his colleague MP Ahmed Al-Fadhel were the only ones who voted in favor of the motion, while the five other members of the committee made a 180 degrees turnaround and that made the difference. MP Al-Fadhel asserted the committee's decision 'has massacred' Article 50 of the Constitution, which stipulates that 'In conformity with the provisions of the Constitution the system of government shall be established on the basis of separation and cooperation of powers. No Authority shall be allowed to waive all, or part of its jurisdiction as prescribed in the state Constitution'. He, therefore, stated that he cannot be held accountable for what has happened, considering there was even a recommendation from the committee's technical team that the memberships should be dropped due to the court ordered incarceration. 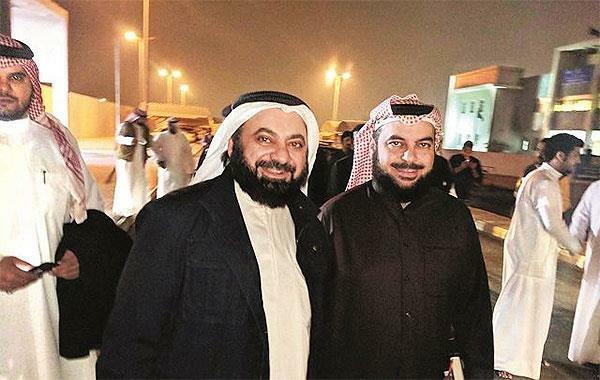 On the other hand, commenting on the issue for the very first time since the verdict was announced, Al-Harbash voiced his gratitude to the committee for rejecting the nullification of his membership and that of his colleague Al-Tabtabaei. He said this has removed the stain of injustice that had blackened their lives. The issue has been tabled for deliberation during the opening of the third regular session of the 15th legislative term this Tuesday. Although the concerned committee has rejected the motion, it still has to be voted upon by the National Assembly for it to take effect. Meanwhile, the National Assembly will start its regular session of the 15th legislative term on Tuesday, with a pair of ministers set to be questioned by lawmakers. The agenda will proceed after speeches by His Highness the Amir Sheikh Sabah Al-Ahmad Al-Jaber Al-Sabah, His Highness the Prime Minister Sheikh Jaber Al-Mubarak Al- Hamad Al-Sabah and chief lawmaker Marzouq Al-Ghanim. The lawmakers also accuse the prime minister of misconduct related to 'constitutional infractions and adopting a double standard policy.' Similarly, Minister of State for National Assembly Affairs Adel Al- Kharafiwill be grilled as well, as per a motion filed by MP Riyadh Al-Adsani. Lawmakers also face other tasks, including assembling a committee to respond to the Amiri speech, as well as electing other 11 permanent committees in the National Assembly. These include committees on petitions and complaints, internal affairs and defense, finance and economics, legislative and legal affairs, in addition to education, culture and extensions. They will also elect members of the Health, Social and Labor Committee, the Foreign Affairs Committee, the Public Utilities Committee, the Budget and Final Account Committee, the Public Funds Protection Committee and the Priorities Committee.